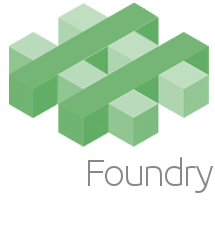 The Grid Foundry platform is a focused, flexible end-to-end analytics solution designed to solve real-world problems faced by electric utilities. Utilities can't answer basic questions about the status, performance, and condition of many key components of their smart grid. While large amounts of raw data are being collected, most utilities are deriving limited value from this trove of source data. You are storing data from AMI, SCADA, OMS, GIS, and many other sources. Can you clean, validate, join, and transform this data at scale for meaningful analytics? Real world data is messy and incomplete. Does your analytics solution anticipate and deal with this reality? Analytics pipelines are complex, with many moving pieces. Do you have the specific domain knowledge to architect, deploy, and grow and analytics solution? Many large vendors offer general analytics solutions, not specifically targeted to your use case. Can these expensive walled gardens really deliver the value you need? With so many technologies in your data center, which stack should you use for analytics? Is there only one choice? Is it time to move your analytics to the cloud? Do internal requirement mandate an on premise solution? Would a hybrid model work even better? Grid Foundry Cloud offers a fully managed, highly configurable analytics platform. A quickly deployed, secure, scalable solution. You provide the data, we do the rest. Build powerful, flexible analytics pipelines on premise in your data center. 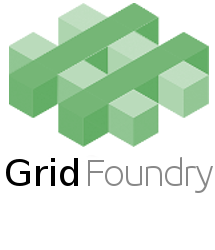 The Grid Foundry framework delivers powerful data processing, machine learning, and visualization at scale. A software suite designed to provide a centralized platform for monitoring, analyzing, managing, and optimizing distribution network outages. Leverage interval load data to characterize transformer utilization and identify overloaded transformers. Assess transformer overload impact to customer voltages and system reliability. Provide transformer replacement recommendations. Ensure delivered voltage is within ANSI C84.1 specifications. Avoid	customer equipment failures due to extreme high or low voltages. Optimize voltage regulating device settings (i.e. cap banks, LTCs, etc.) Identify and mitigate phase voltage imbalance and identify end-of-line voltage issues. Dynamically monitor real-time power outages and restorations. Live system mapping of active and restored outages. Validate outages programmatically by verifying comm state using ping, as well as other API supported functionality. Understand	voltage	affects from renewable energy loads. Continuously monitor and characterize distributed generation and EV usage to identify impacted feeders and highlight its impacts to system reliability. Quantify reliability modeling of your Distribution Management Infrastructure. Create profiles for planning and engineering by dynamically measuring and characterizing load on each Feeder. Decompose models on each feeder to properly forecast rolling annual profiles. Analyze all the secondary and service network assets, e.g. smart meter voltage, power consumption data, and distribution design standards. Estimate the type of secondary/service conductor connecting end points to the service transformer. Geospatially visualize all your grid assets, connectivity, and other critical aspects of your infrastructure. Benefit from best in class mapping and visualization integrated across the entire Grid Foundry platform. Correct	data quality issues	and	connectivity models	between	assets. Record and identify asset relationships (e.g. meter-to-transformer-to-feeder-to-substation.) Geospatially map assets	and	update	real-time statuses to improve overall situational awareness. Leverage AMI voltage profiles and GIS connectivity to identify phase at the transformer level. Patented machine learning algorithms use the data you have to produce highly accurate results.